I joined our sisters at Nazareth Living Center to reflect with them on Plants and Mercy. For they year of mercy, they have been gathering monthly for a presentation on mercy. I talked to the sisters gathered there about my experience with plants and with the mercy of God. God is Love, and Love is God. In the beginning, when the earth was a formless waste, God created - created by loving. God created in the divine image - created in love. God loves by creating, creates by loving. And this loving, creating God invites us also to be the best of ourselves by loving and creating in God's image. When this love of God meets pain, it takes on the face of mercy. When this love of God meets weakness, it takes on the face of mercy. When this love of God meets sorrow, it takes on the face of mercy. When this love of God meets suffering, it takes on the face of mercy. Crying in pain for fracking. Crying in pain for pollution. Crying in pain for habitat destruction. Crying in pain for soil degradation. Crying in pain for poisoning our waters. And when the earth cries in pain, the weakest and most vulnerable of our brothers and sisters suffer the most from lack of clean water, lack of food and lack of fuel - the basics of human living. Mercy hears the cry and responds. Our response can be a simple prayer, whispered in hope. Our response can be our wonder and gratitude for the little signs of hope in the world of suffering. Our response can be to do our part to make a difference in this world. Mercy looks like turning off lights. Mercy looks like reducing, reusing, recycling. Mercy looks like native habitat restoration. Mercy looks like eating fresh, local and organic. Mercy looks like talking to others about the ecological challenges and solutions. Mercy looks like advocating with government and businesses and neighborhoods. Mercy looks like supporting one another in our choices. In this year of mercy, I commit to living more lightly on the earth, to taking steps to lessen my use and dependence on plastics and fossil fuels. And I commit to solidarity with others in this movement and solidarity with my brothers and sisters who suffer most when the earth is degraded. A few weeks ago we welcomed a woman interested in Religious Life for a weekend of prayer, community, ministry and conversation. 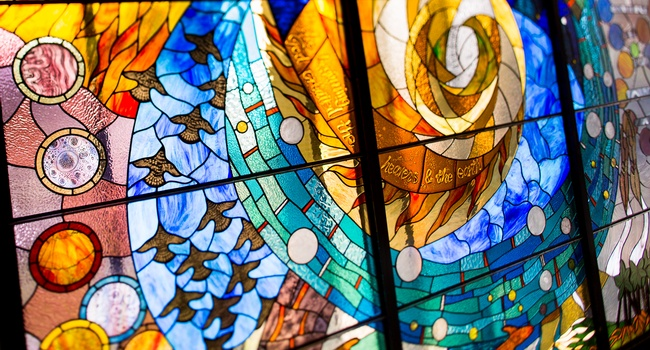 We focused the weekend on three aspects: Community, Spirituality and Justice. This gives us the acronym: CSJ. Four of us on the team: Sarah, Clare, Mary and I organized the weekend, with lots of help from other sisters along the way. We opened the weekend by sharing the Friday evening meal with the vocation team and several sisters at the motherhouse, followed by a tour of the motherhouse which is really a great introduction to who we are. The tour ended in the chapel where we prayed and shared around the notion of call. Our fundamental call to loving relationship, our vocational call to a particular life-calling, and our daily calls to kindness, compassion and justice. On Saturday, we began with a short prayer then moved out to our volunteer sites. The first was in Dogtown Ecovillage where I live and where we work for community and sustainability in an urban neighborhood. 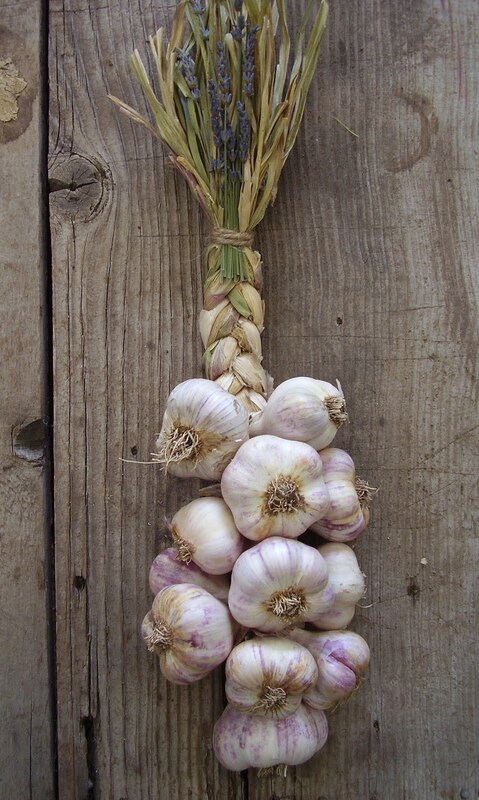 We harvested and braided Garlic and we did some maintenance at a native plant garden. Some of us had never harvested garlic before, so it was a new experience of receiving the earth's abundance that will continue to bless the community for the coming year. After the harvest, we moved on to one of the native plant installations in the ecovillage. At lunch time, we went to Marian Middle School where Sarah is principal. Kate, one of our sisters, brought in a wonderful lunch and shared it with us. Well nourished, we headed into the afternoon's project. Sarah had us cleaning out and organizing one of the supply closets at the school. I had my doubts whether we could make order out of the chaos before the end of the day, but we managed to finish early. We enjoyed the camaraderie of working together and sharing stories of the mission at Marian, and the life of the Sisters of St. Joseph, and life in general. The group headed back to the motherhouse for a reflection and prayer lead by Ida, another of our sisters. Then we all reconvened for pizza and community at another of our houses. Linda and her housemates made us feel very welcome and we also had an opportunity to respond to questions about religious life. Each of us shared from our own perspective and experience, which made for a very rich evening indeed. Sunday morning we headed out to a parish for mass, followed by a wrap-up session with more conversation, questions, and sharing. I enjoyed sharing the weekend with the sisters on the vocation team and with other sisters who came in to help out with various parts of the weekend. Over the course of the weekend, four of us on the team wove in and out of the program, depending on our other commitments. We had published the schedule to sisters on the expanded vocation teams to ask their prayers, support and participation. They came forward generously to make the weekend a success for us all. I really feel like you opened your home and your lives to me. This is really what I needed for my discernment process. Let's pray for all those who are discerning a call to religious life and for all of us who accompany them on the journey.